Autumn comes early to the Alaska landscape. It's before Labor Day, but the trees are already turning color. When the clouds part and the mountains prevail, it is something to behold. It is really, really something. 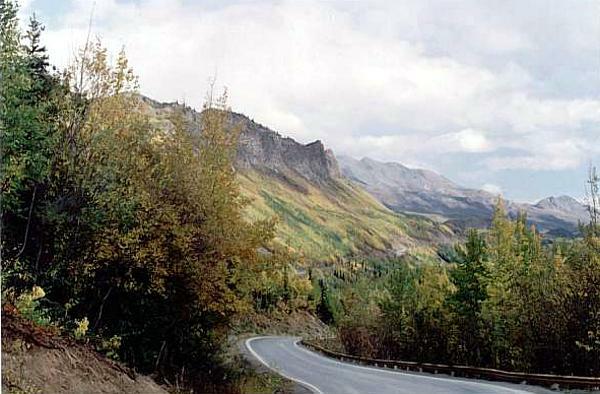 This scene is from along the Glenn Highway, Alaska's Route 1, as it encounters the mountains beyond Palmer.